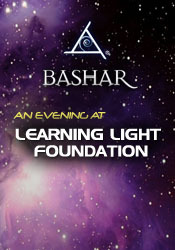 Bashar answers your questions in this exciting Orange County event! • I’ve always felt different. Someone told me there’s an aberration in my spine that allows me access to other realms. Can you clarify? • When will there be mass contact? • Is the info that we’re dreaming downloaded a few seconds before we awake? • How do we know if guidance we receive is from a higher source? • My dog is having a hard time with others. He bites people who come to my house to take care of her when I’m gone. What can be done about it? • My 2-1/2 year-old daughter is seeing owls in her room that make her fly and she’s terrified. Why are they around her and the rest of the family? Are they hurting her? • About what you said regarding the Fall of 2016, can you tell us if we’ll be okay? • What can you tell us about the Blood Moon this September? • Can we make bigger contributions to society and does it matter? Do we make an impact? • What is my galactic heritage? • How do I remember more about who I am? • My kids are drawn to technology. How can they create a balance between fun and disconnection? • Is cannabis interfering with my expansion? • What’s the essence of genius, people like Einstein and Mozart. Did they work with ETs? • How do you learn or know things in your society? • Why do I feel so disconnected in life? Especially in a relationship? • I’ve been trying DMT and I’ve been speaking in another voice. Is that my higher self? • Is there any way we can each raise our energy to make this shift come quicker? • I’ve always loved cats and tigers. What’s the connection for me? • I’m fascinated with the full moon. I go into a trance. What is that? • What’s your perspective of poker and playing it as a career? • Is addiction related to the adrenalin love they get from risk? • How can we learn without memory? Why learn if we already know what we need to know when we need to know it? • Why does a stillborn birth occur? • Why do people commit suicide? • As I transition my career to a peace officer, where’s the balance between compromising my excitement? • What tips do you have for following my excitement as an intuitive healer? • Can you talk about miscarriages and abortions? Can that baby come back to reality? What is the lesson? • Could you help me come to terms with the cruelty in this world? • Does Electromagnetic Therapy work? • How do I react to indiscriminate racism and violence? • Is part of our evolution to share the planet with other entities without eating them? How can we improve our relationship with them?